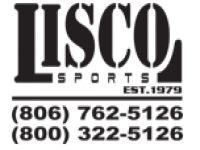 LISCO outfield banners and distance markers are made using 18 oz coated vinyl with 2” webbing double stitched around the perimeter. Brass grommets are placed at corners and every 18” to secure to fence or windscreen. Standard distance markers are one-color and come in two sizes: 32” x 32” or 24” x 48”. Custom outfield banners are available in one-color and two-color and come in many different sizes.